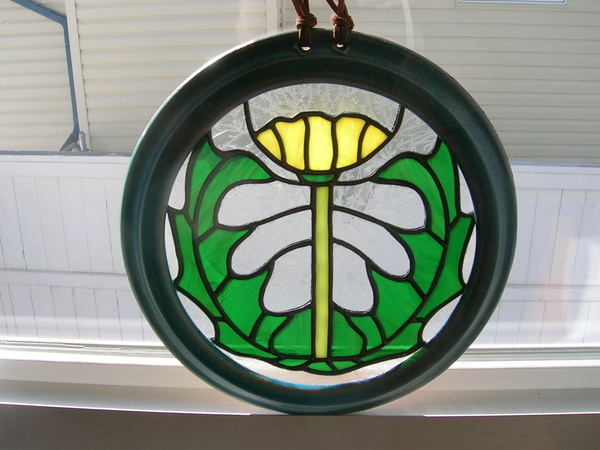 This Rose Vase Panel was a wedding gift that a client commissioned us to make for them in 2006. 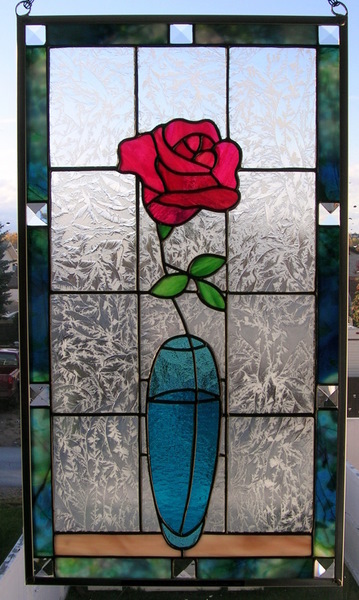 We used some very beautiful Bullseye glass for the rose along with Uroboros glass for the boarder spaced with 1 inch square bevels. 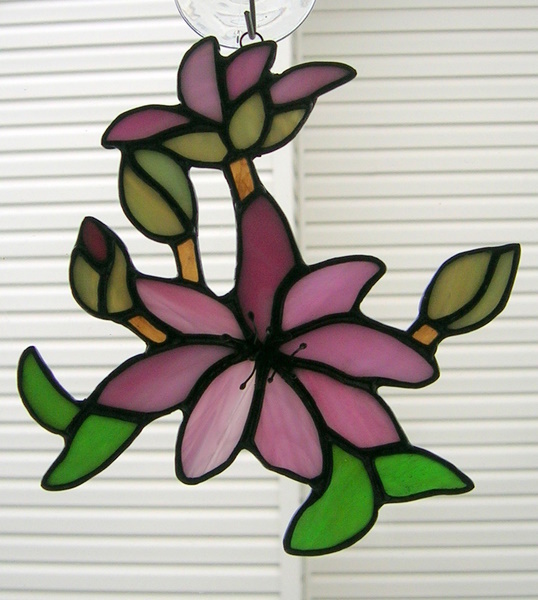 In 2010 we made this as a gift for The Order of Eastern Star in Montana USA. The Bitterroot is the state flower for the State of Montana, which was adopted on February 27, 1895. 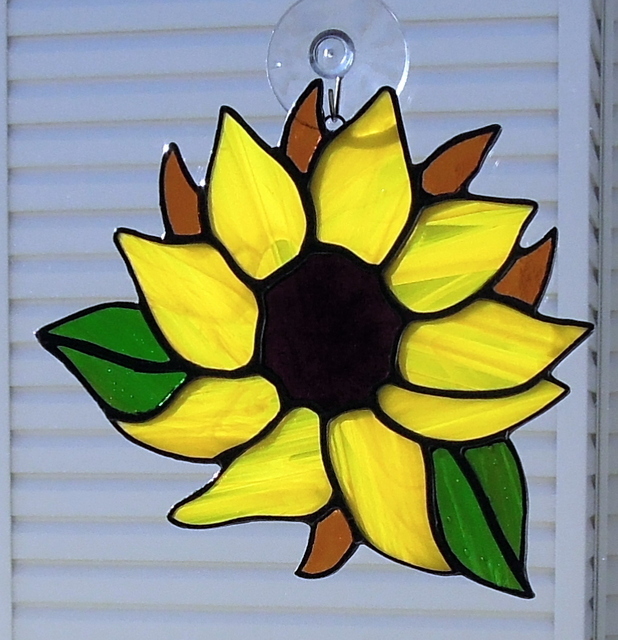 Our sun catcher measures about 7 x 7 inches. 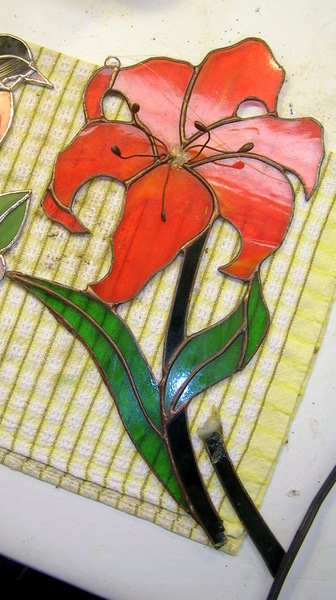 A wonderful client of ours brought this broken tiger lily to us to repair. She had been given this many years ago and was special to her. 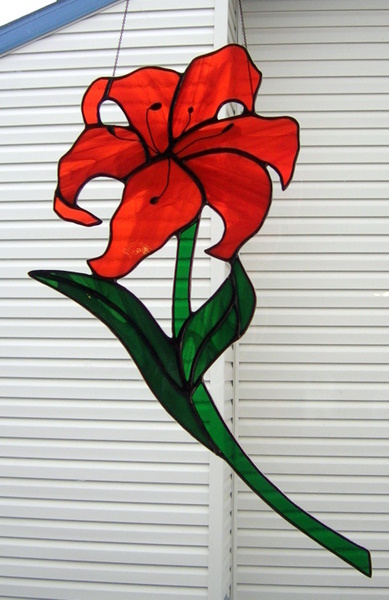 The tiger lily had been dropped and needed not only new glass but a total rebuild. Here it is before we repaired it.